Viking warrior were highly feared across Europe for their brutal attacks and unorthodox for the time weapon of choice, the battle axe. Well know for their close quarter fighting style and berserker’s. Most Vikings warriors were modestly armoured with only the king’s guard usually having chain mail. 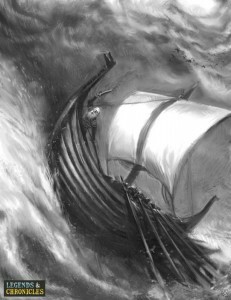 The victims of the Vikings would see Dragon headed ships coming to shore, blood red sails and Snarling Grinding Viking warriors wielding heavy battle axes. This all added up to make it easy to see why the Vikings had a fearsome reputation within Europe. The Viking fighting style was based on rapid attacks, go in and attack, get the goods, and then get out before any more backup could arrive. With their home made clothing and weapons they would rely on their quick and ferocious attack style to ensure success. 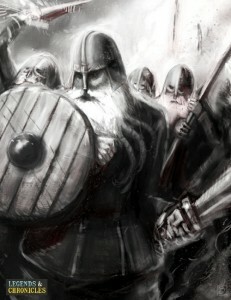 The well known Viking berserker warriors were the most feared off all, believed to used herbal type drugs such as anmirifta to enhance their mood for battle, the eager berserker warriors are believed to have stood here biting their shields and swords in anticipation of the forthcoming battle and violence.